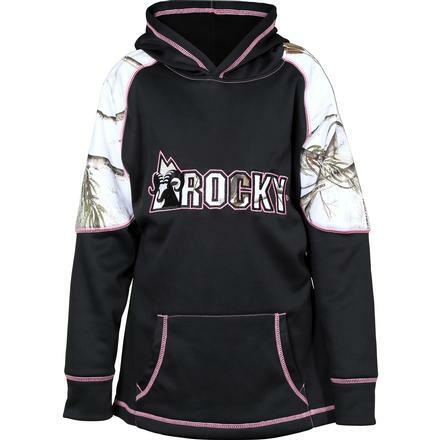 The Rocky® Girls' Logo Fleece Hoodie is a great choice for the child in your life. 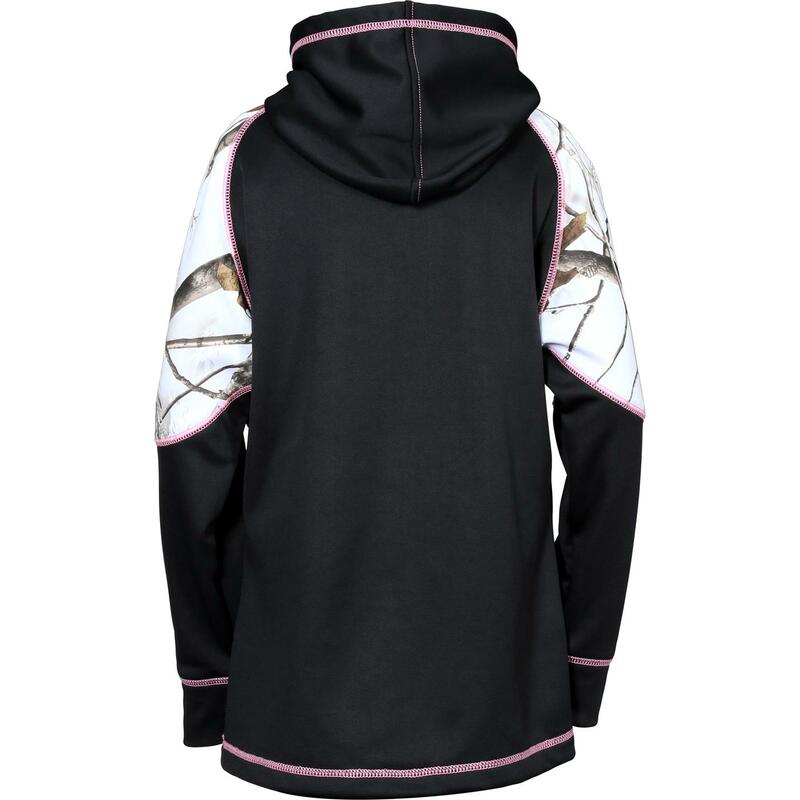 This stylish, comfortable hoodie will become her go-to casual shirt. This black hoodie is smooth on the outside. 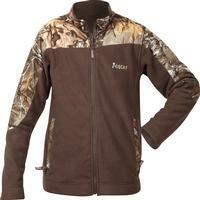 Inside, it has soft fleece that's comfortable. It's the piece of clothing that she'll want to throw on when it gets chilly. Girls will love the black and white design. 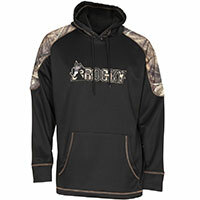 The shoulders, upper arms and logo are Mossy Oak Snow® camouflage. 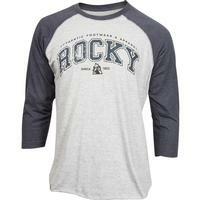 The front has kangaroo pocket they can put their hands in or use for stashing a phone. The cuffs, hem and pocket have a contrasting pink stitch. 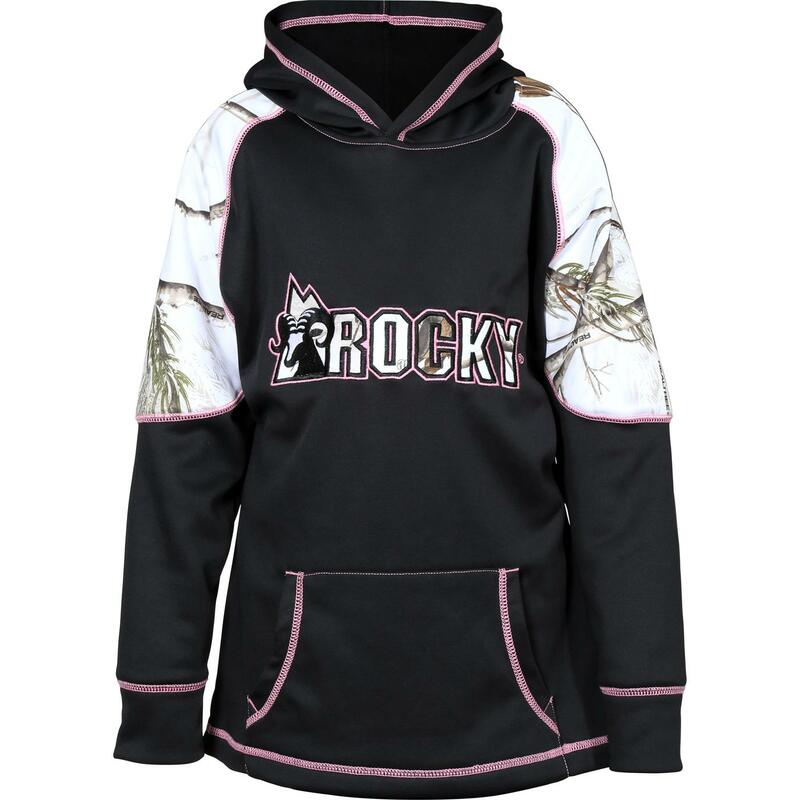 Whether you're looking for a girls' black hoodie or camo hoodie, or maybe just casual clothes for girls, this Rocky hoodie is a great choice. Order one today!